Plans for Penn's Landing have been floating around for several years now, but at a public meeting in Philadelphia last month, they finally began to crystallize. 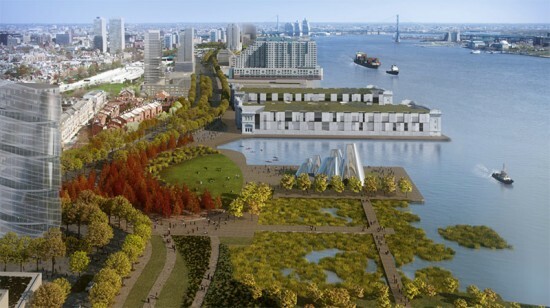 The Delaware River Waterfront Corporation (DRWC), which oversees the 6 to 7 mile strip of waterfront property outlined in the Central Delaware Master Plan, has hired Hargreaves Associates—the firm responsible for the overhaul of Houston and Louisville's waterfronts—to revive the deserted stretch along the Delaware River. New renderings revealed at the event connect Old City to the waterfront with a large promenade park featuring green space, mixed-use residential and retail buildings, and an expansion of the existing South Street Pedestrian Bridge. Mary Margaret Jones, a senior principal at Hargreaves Associates, gave the audience a more in-depth look at solidified ideas for the waterfront, some of which were proposed when the firm received the Penn’s Landing design commission last spring. 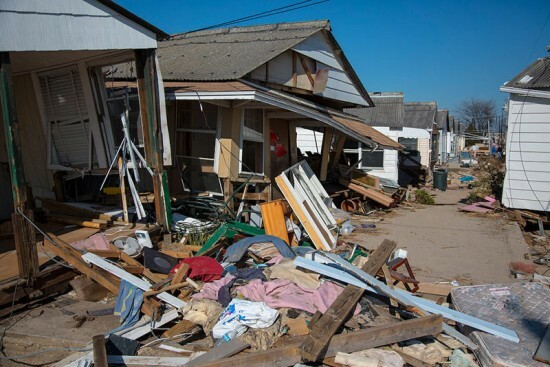 Plans show extensive work on the site with hope its transformation will “unlock the potential of the Delaware.” Along the expanse of the waterway property, green space and public practicality are emphasized. 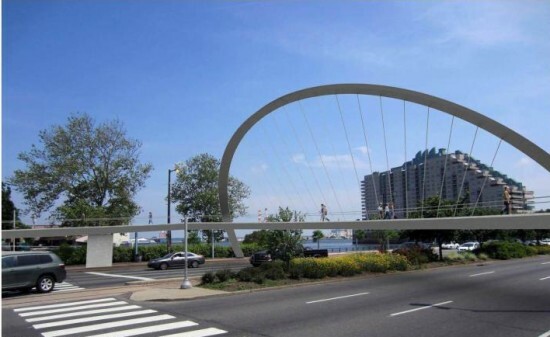 At the south end, the South Street Pedestrian Bridge, further developed as an arched suspension bridge that spans the highway, provides access to a new Pier Park with a waterside café, gardens, and large multi-use plaza. Further north, near the built Hyatt Hotel, Basin Park, a green space encouraging the sailing use of the Delaware River, will include a boat slip and boathouse, and a possible swimming pool on a floating barge. Midway through the promenade, Hargreaves plans Penn’s Landing Park as a green cap over waterfront parallel roadways, decreasing in grade as it slopes toward the water. 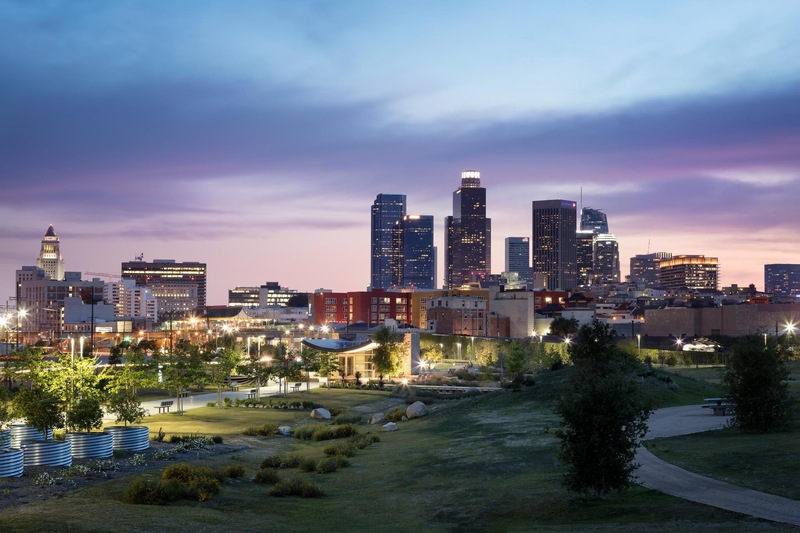 It will provide event space with an 850-seat amphitheater, urban gardens, a dog park, and the possibility for outdoor art galleries within its plazas. Trails run throughout the promenade plan and at the north end near Market Street, proposed mixed-use residential and retail buildings could commercialize the public space, as well. Both Hargreaves and the Delaware River Waterfront Corporation have expressed their excitement about the plan to connect the city of Philadelphia with its riverfront in a significant way. The main concern, however, is that this ambitious scheme needs funding and it presently has none. “We are doing some creative thinking in how to finance this, but we're not ready to talk about it yet,” commented Deputy Mayor for Economic Development and DRWC Board Member Alan Greenberger at the meeting. Current Philadelphia Mayor Michael Nutter will leave office in 2016. Without a more solid monetary foundation, and soon, there is a possibility that the new vision could fall flat under future administration. 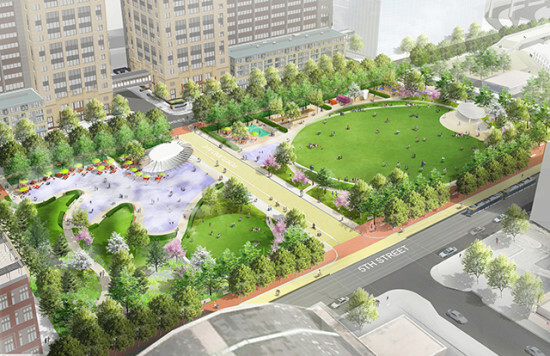 Nearly 10 years after shining as the “crown jewel” in the Downtown Brooklyn Redevelopment Plan, Willoughby Square Park has a clear path to construction. The one-acre park, designed by Hargreaves Associates, will be a passive space offering a moment of calm just half a block from the bustling Fulton Street Mall, but there will be plenty of action beneath the surface, where a robotically controlled parking garage will arrange 700 cars in a very compact space. The fully-automated, underground parking garage replete with plasma screens, cameras, and lasers will be located under the park and will help defray some of the costs of the its development. Automotion Parking Systems' space-saving technology also means that the garage can fit more cars than a traditional garage, cutting down on the cost of excavation. As a result, the Willoughby Operating Company will be able to cover the construction of the park and the garage with $6 million it has raised from city funding, the Economic Development Corporation, and private donors. The company has also promised to cover any additional expenses. That comes as good news, as the costs of relocating tenants, acquiring land, and funding cuts have hampered the park’s progress over the years. 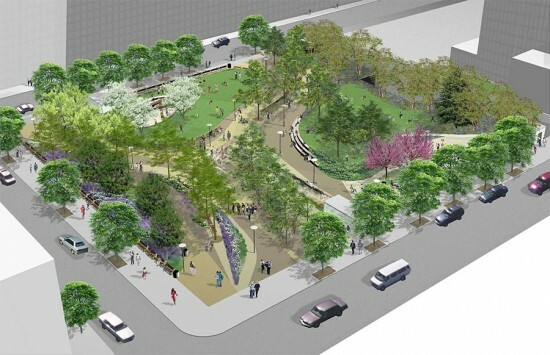 A ceremonial groundbreaking is planned next week on August 1 and the park is scheduled to open in 2016.